A few random photos of things going on. Yesterday i had to empty the sawdust bins, which had completely overflowed. If you have never cleaned up massive piles of sawdust, I suggest you try it just so you know you should avoid it. Cleaning out the sawdust extractor after one of our bins overfilled. aaaaah sawdust, it gets everywhere. Making new timber sashes based on the old ones given to us. A common issue for timber sashes is they rot in the rain over the years, you cant repair them – you need new ones! Well we have come back (the 9th for George and I with the rest of the staff fully back on january 23rd 2017). I’ve been a little slack in uploading new images of what we have been doing so today here are a few random images of what has been going on the past few months. Replacing damaged colonial bars with new ones. 5 panel clear anodise bifold door. Hawkesbury suite from ALSPEC. Casement windows with putty glazed sashes. 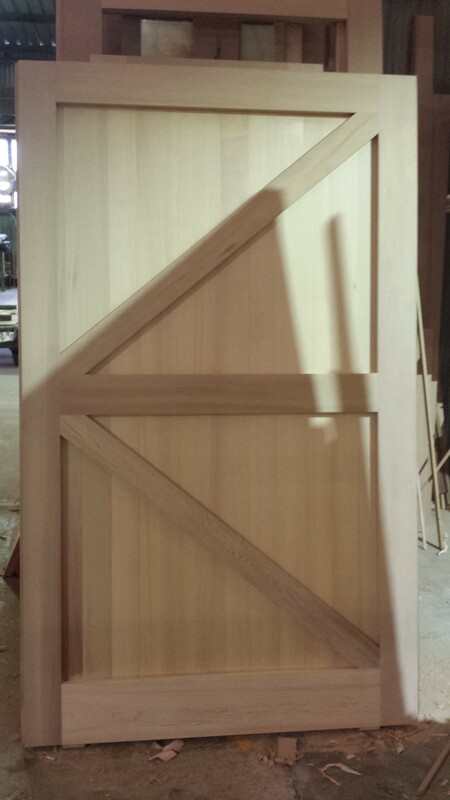 cedar doorframe, made to clients specs. A small selection of the variety of work we have carried out recently. Ill try make a better effort and post more frequently.